Learn how to create a stylised warrior character in BLENDER 3D based on Thiago Almeida exclusive concept. This Video course covers every single step to create a PBR shaded stylised warrior character with animation friendly topology based on fantastic and exclusive concept from Thiago Almeida starting from the default cube. The course include all HD videos and all ressources including 18 blenders files covering main steps. Free CC HDR, free textures given by textures.com, Matcaps, brushes and concepts from Thiago Almeida. You will need to have some experienced in blender to take this course as I won't be explaining every single click and as we'll be using some advanced technics. "Pierrick managed to create a monstrous course packed with knowledge on creating a full character in Blender. I was very impressed with the effort put intothe production of each video, almost to the point that it was overwhelming. I highly recommend anyone from any level to get this course, otherwise you would miss out!" "Definitely check out this magnificent course, if you want to learn character creation from scratch! There is hardly any part of the process not shown in this exhaustive bunch of tutorials and timelapses. Pierrick shows us that you don't really need rocket science to create fantastic characters!" "All I can say everyone, is you will without a doubt grow at least 10 "Blender Units" in your skills after doing one of Pierrick's courses! I did his "CliffTower" course and it was the best decision of the year. This will be like that one on steroids. ;)". 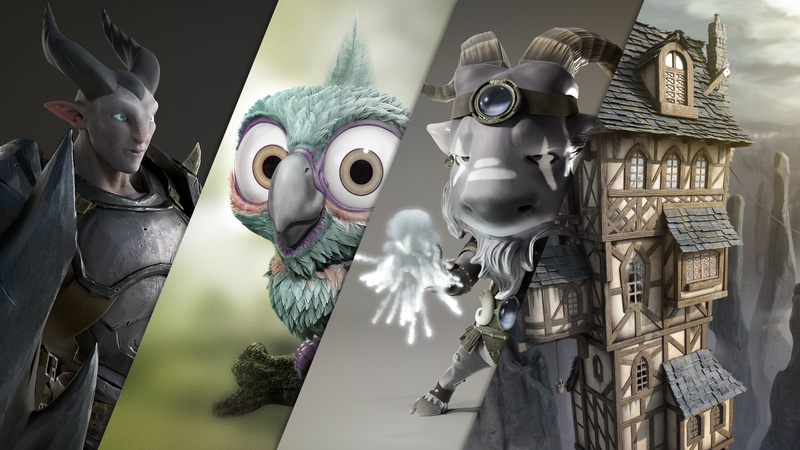 "Pierrick did an outstanding job on putting together a high quality course, that is showing you everything you need to know about creating a stunning looking 3d character in Blender. From preparation over sculpting, modeling and retopology to the whole texturing and shading workflow, everything is included. I especially liked the texturing part, which reveals great techniques I will put to good use in future projects. So, if you want to learn character creation in Blender, don't hesitate to grab this great course!" Your card will be charged US$55.